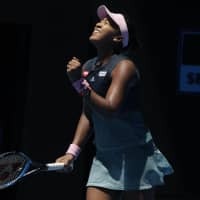 MELBOURNE - Naomi Osaka conceded the opening set for the second straight match, but mounted a successful comeback against Latvia’s Anastasija Sevastova on Monday and reached the Australian Open quarterfinals for the first time in four attempts. 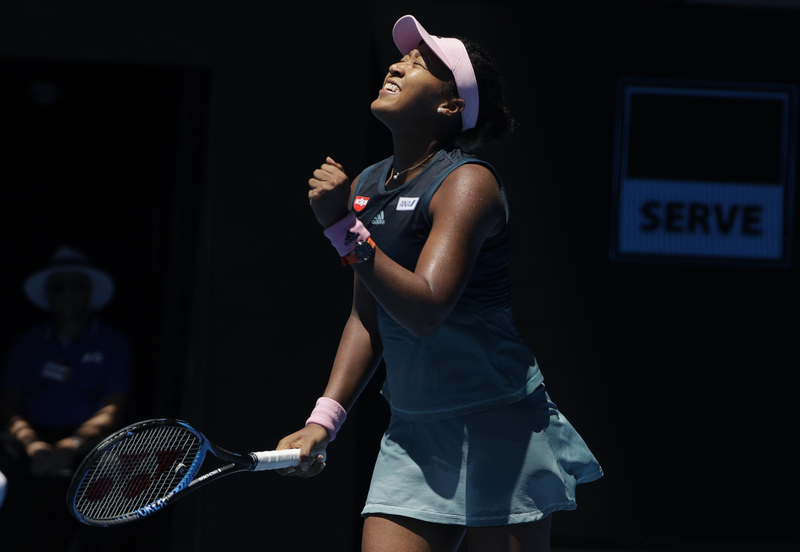 The fourth-seeded Osaka overcame her opponent’s skillful net game and her own error-riddled play to claim a 4-6, 6-3, 6-4 victory at Rod Laver Arena and set up a quarterfinal match against Ukrainian Elina Svitolina. She became the first Japanese woman to reach the best eight at the first Grand Slam of the year since Ai Sugiyama in 2000. The pair had split their four previous match-ups. Osaka said she was no stranger to being made to work for a win at this year’s tournament, having survived a scare against Taiwan’s Hsieh Su-wei in the third round on Saturday. “I was thinking I’d been in this position before, and actually last time was a little bit worse,” she said. Osaka gave up serve early and allowed the 28-year-old Sevastova to take a two-game lead, committing 17 of 43 total unforced errors in the first set as her tension mounted and she fell behind. The 21-year-old regained her composure in the second set, though, and broke her opponent while going up 5-2. She was nearly broken back in the ninth game and bounced a ball high into the air in her frustration, but came out the victor of a 23-shot rally and served out the set. Reinvigorated, Osaka immediately took advantage of a break point opportunity in the third set. But after giving up three straight points, she let Sevastova equalize despite rallying back from 40-love, throwing her racket down in disappointment after losing the game on the Latvian’s third advantage. But after taking another break point, Osaka dug in and finished out the match, surviving a nail-biting eighth game and clinching the victory with her 51st winner to book her spot in the quarterfinals. After the match, Osaka said she had been inspired by performances from peers like 21-year-old Frances Tiafoe and 20-year-old Stefanos Tsitsipas, who upset No. 3 Roger Federer in the fourth round of the men’s singles on Sunday. “I was watching all these kids winning last night — Tsitsipas beat Federer and I was like, ‘Whoa.’ So I decided that I wanted to do well, too,” she said. Osaka has only reached the quarterfinals of a major once before in her career. She accomplished the feat for the first time last year during her championship run at the U.S. Open, where she became the first player of Japanese or Haitian descent to win a Grand Slam. She is looking to become the 10th woman in history to win the U.S. Open and Australian Open back-to-back.